With bonfire night on the way, Blizzard are hoping to reduce the risk of accidents around the StarCraft home. They’re reducing the damage of sentinel missiles after reports that they were plowing Protoss and Zerg into tiny pieces. Of course, such accidents can really ruin a BBQ. The beta patch also makes changes to the Protoss Oracle. 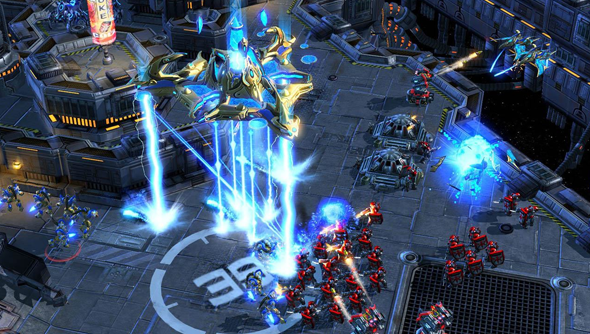 Blizzard have published a new version of the StarCraft II Balance Test Map. Playing Bel’Shir Vestige LE (2.0.11 Balance v1.1) will allow you to try out the changes for yourself. Revelation casting range has returned to 9. Sentinel Missiles splash damage radius has returned to 1.75. We won’t see these changes applied to the game proper until they’ve been through further testing.